Great news! Starting today, WebWave users can use text edition panel with a new style. It keeps previous version functionalities but looks way better :). How to use this features? Sign in to WebWave and go to Webmaster's Panel. Start editing website and select text element. Double click on it or choose "Edit content" in element settings. Not that long ago, we allowed users to restore a backup copy of a website in WebWave. 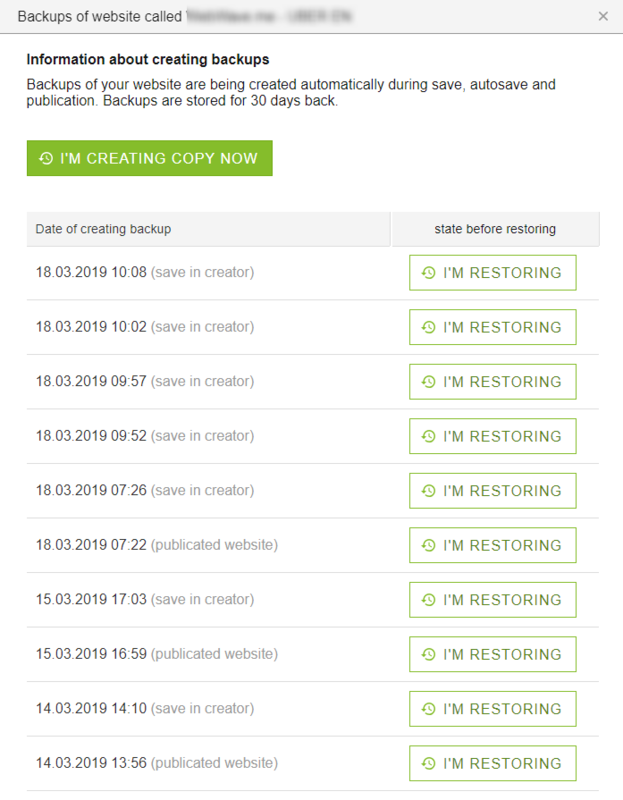 Starting today, every user with an active Premium Plan can create backup copies of a website on their own and restore both saved and published versions up to 30 days back. Restoring backup copies for users without an active premium plan stays the same. If your website has an active Premium Plan, you can make a backup copy by hand or restore one of the previously created backups.